A clever designed Enlglish solid oak sofa / dining table by Heals of London. 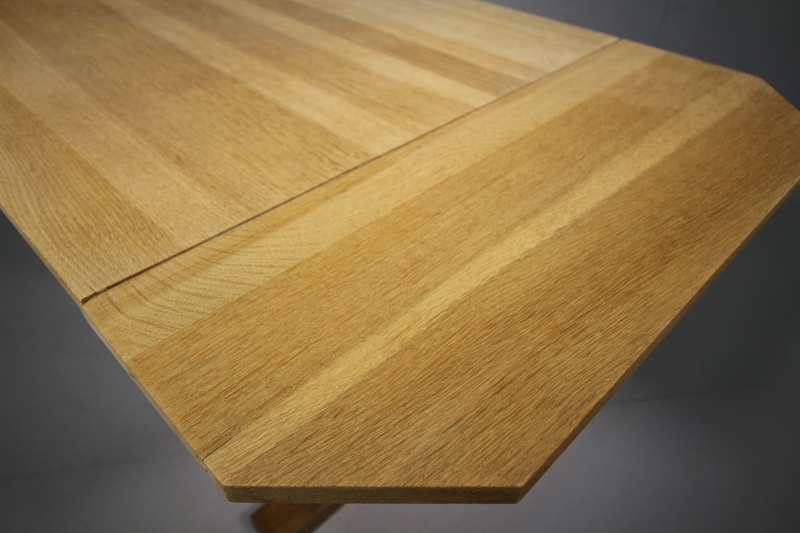 The oak table top can be extended by lifting the flaps to make a large dining area of 152cm. 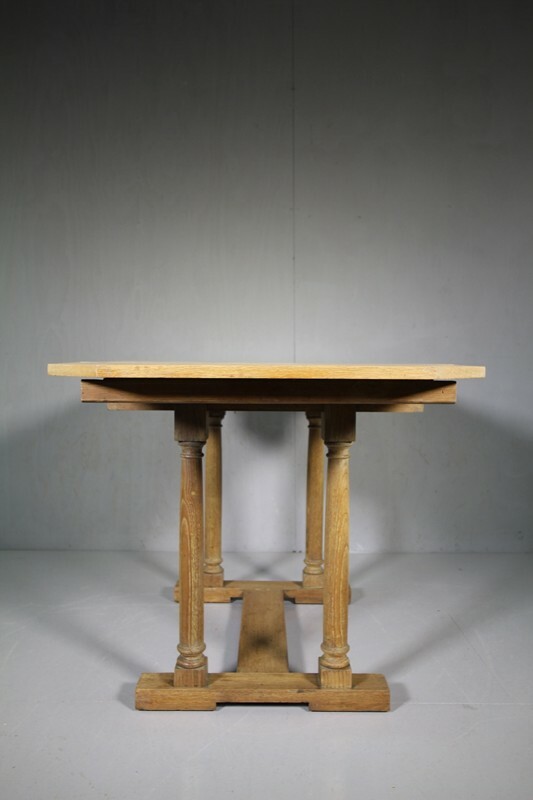 In very good condition, this Heals oak dining table base has four gun barrel turned legs, a feature of the Tilden range of Heals furniture. All in super condition and a great colour. 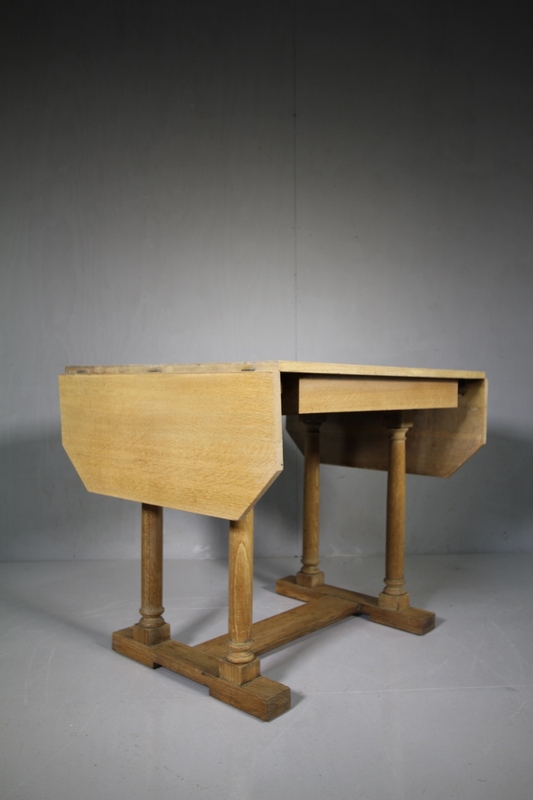 To extend the top, you just lift a flap and underneath, pull out a solid oak rest. 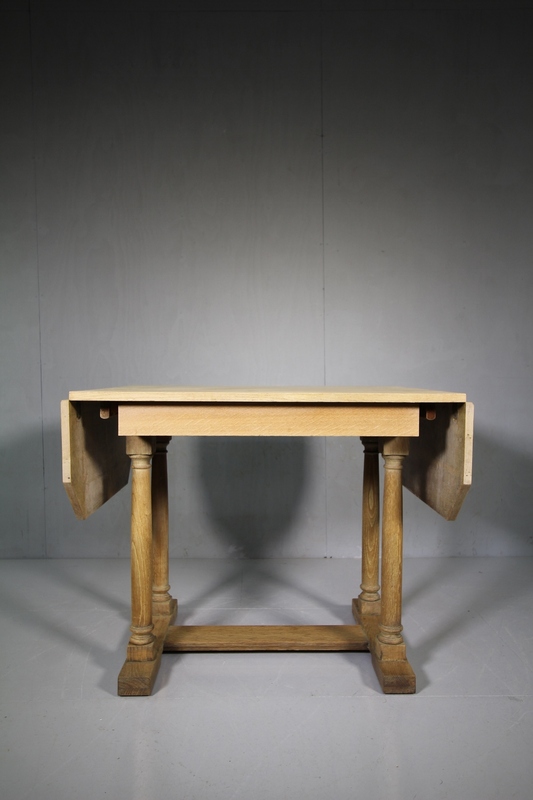 All very stable and strong when extended. 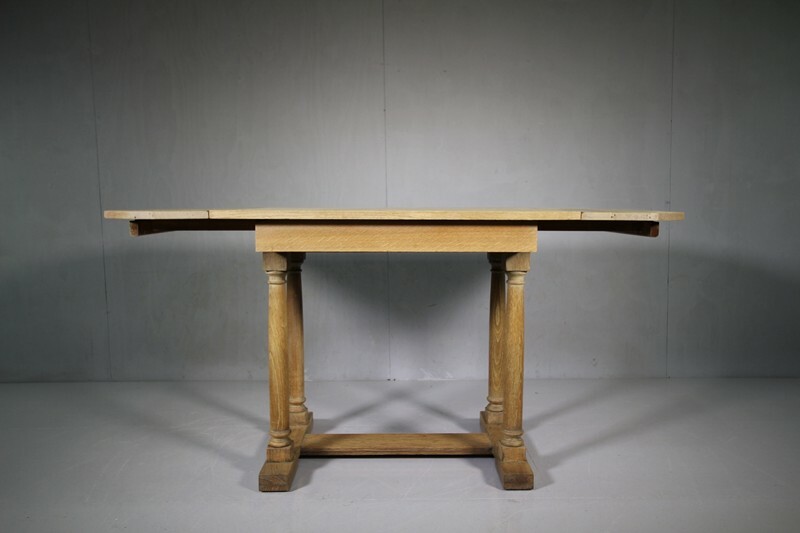 A clever space saving Heal oak dining table.